When it comes down to windy weather, personalised Vented Umbrellas are some of the strongest in our range to combat being blown inside out or broken by it. 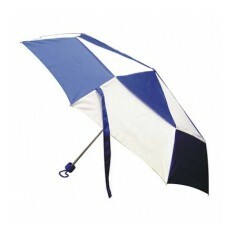 Customised vented umbrellas offer some of the best protection against blowing inside out when in use in the umbrella world. Their vented design allows the wind to pass through so that it doesn’t cause increased pressure that turns the canopy inside out. 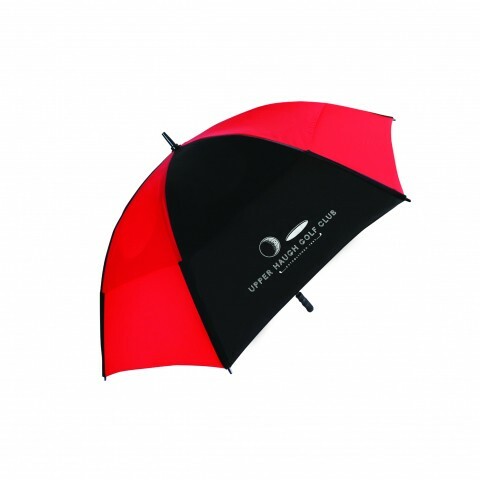 Their increased flexibility makes them great branded corporate umbrellas for any promotions out on the street or golfing establishments as they are built to withstand almost anything the British weather can throw at them. 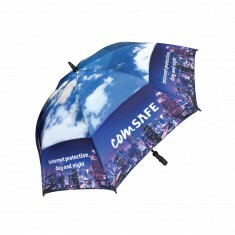 If strong and reliable is what you're after, then a promotional vented umbrella is the place to start. 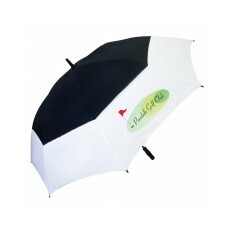 Customise to your hearts content with our custom printed Bespoke Spectrum Vented Golf Umbrella. 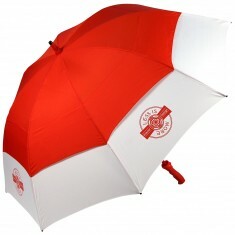 With 16 different panels and your choice from 56 colours, there is plenty of opportunity to get your brand colours into this umbrella. Alternatively, if you want to go truly bespoke, you can do a full colour full coverage print to spread your message everywhere. If compact is more your style, our branded Mini Vent is small enough to slip into your handbag or coat pocket when not in use. Get in contact with our sales team to get a visual designed to your specific colours and personalised with your logo. Lightning resistant stem. Vented canopy. Storm proof. Lifetime guarantee. Vented system. Non-slip rubber handle. Fibreglass frame. Colour co-ordinated sleeve. 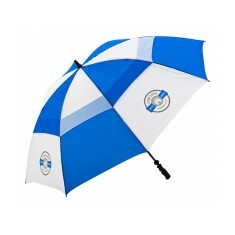 The perfect umbrella for the pro circuit. 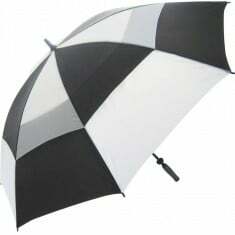 Boasting a larger than standard vent..
75cm rib length lightweight windproof golf umbrella with fibreglass 14mm diame..
56 panel colour choices. Stormproof. Full coverage dye sub print available. 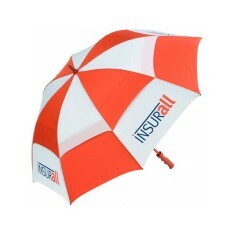 Don't get caught out in the rain with our custom printed Pro-Bella FG Vented ..